ofValue Stream Mapping is used for the documentation and analysis of the flow of materials and information which bring a product or service to market. 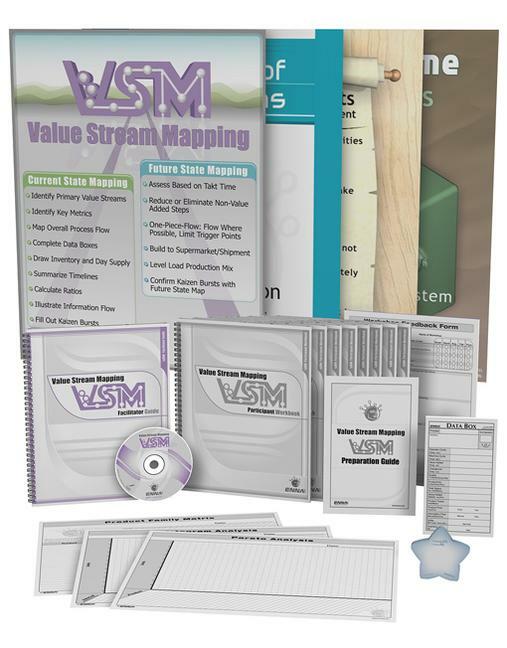 Covering the foundational elements and outlining how to properly Value Stream Map, the VSM Training Package is the most effective and powerful way to first understand and document, then improve your workplace. This comprehensive training package is action oriented to ensure successful learning and facilitate the communication of Value Stream Mapping Principles.